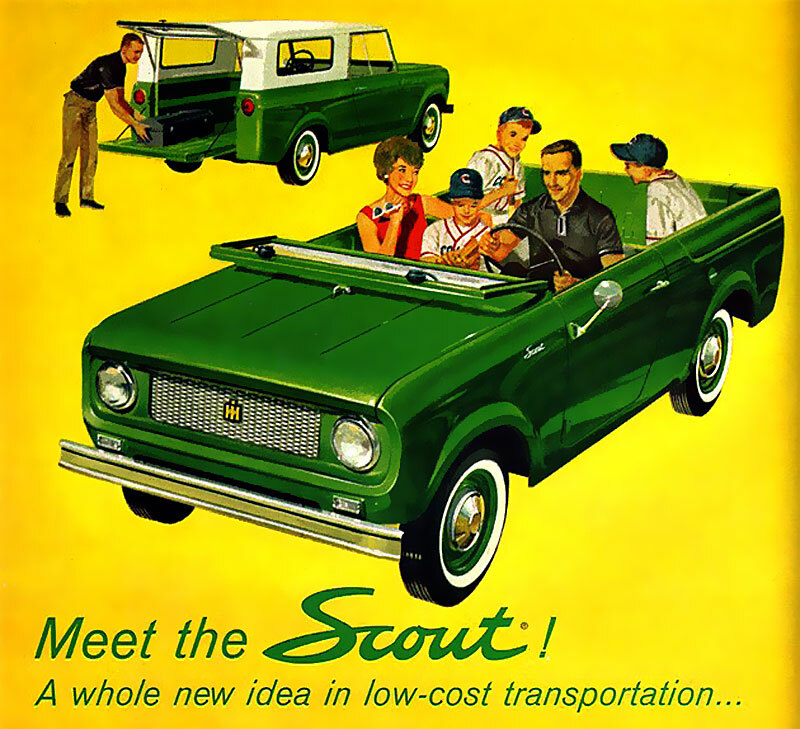 The International Harvester Scout was introduced in 1961 at the first competitor to Jeep. To this day it is considered a classic piece of automotive history. Anybody miss Flipper Friday? Doesn't the mom in the car look like Nancy Reagan? It's amazing, if you think about it, how much cars have evolved in the last 50 years!!! While the Scout looked cool, it is incredible how unsafe it was. It does not even appear to have seat belts, not to mention zero roll-over protection?